Aviv Service Today is pleased to serve you in the Charleston, SC area. SERVICE CHARGE This charge covers the cost of bringing a fully trained technician and his mobile service shop to your home. 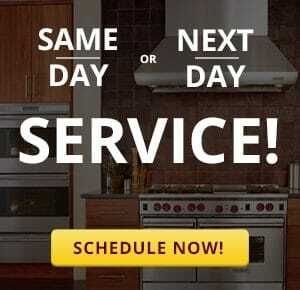 It also includes checking your appliance and giving you an estimate on the cost of repair. COST OF REPAIR Service rates are not based on the time a technician spends in the home. Operating a service organization involves a tremendous amount of costs that are unseen by the customer yet are vitally necessary to perform prompt and efficient service. Examples of these costs are technician training costly test equipment, office personnel, rent, parts inventory and many others. You are not hiring a technician, but an entire company resulting in the best, most efficient service in the industry. If repairs later become necessary due to other defective parts, they will be charged separately, and are not subject to this limited warranty. This limited warranty is given only to the customer hereunder and we shall not be liable to third parties, NOR SHALL WE BE LIABLE FOR INDIRECT OR CONSEQUENTIAL DAMAGES, except for the limited specific warranty set forth above. THERE ARE NO OTHER WARRANTIES OR GUARANTEES, EXPRESS OR IMPLIED, AND WE SPECIFICALLY MAKE NO WARRANTY WITH RESPECT TO MERCHANTABILITY OR FITNESS FOR A PARTICULAR PURPOSE. We do not make any guarantee with respect to any other parts. This warranty applies to labor provided during normal working hours only. Additional charges will apply for other than normal working hours. All canceled repairs are subject to a 20% restocking fee. * See website for details or call the office. RIGHT TO ENTER PREMISES AND REMOVE MATERIALS If payment is not made when due hereunder, and if the parts and materials to which we have provided may be easily removed without injury to the premises, we may, in our sole discretion and without waiver of other remedies available to use, remove and sell such parts and materials and collect from you any unrecovered balance of amount owed under this invoice. Owner hereby grants permission to Aviv Service Today to come on the owner’s premises to remove any such parts and materials. For a printable pdf-version of this page, please click here.